Instant discount added in your cart with purchase of this or any Instant Bonus item. Only one discount per order. 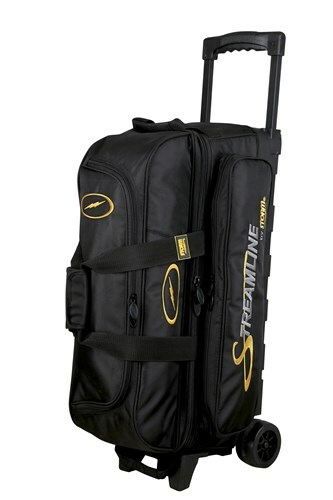 The Storm Streamline 3 ball roller bowling bag has all the space and features needed to carry 3 bowling balls, shoes, and plenty of accessories to and from the lanes. Storm is so confident in this bag that they have backed it with a 5 year limited manufacturer's warranty. Dimensions: W:12" x D:19" x H:31"
Is there any images of the inside? Unfortunately, Storm did not provide pictures of the inside. Due to the time it takes to produce the Storm Streamline 3 Ball Black Roller ball it will ship in immediately. We cannot ship this ball outside the United States.